At the collapse of the country's monopoly in chemicals distribution, private companies of foreign trade appeared on the Polish economic scene. Then, in the year of 1991 four employees of The Institute of Heavy Organic Synthesis decided to launch their own business. Zenon Maślona, Marek Jarawka, Andrzej Maślanka and Jacek Jerzykiewicz established a company with Russians called IXO. The whole share capital amounted to 50 million zlotych (5 thousand PLN). In 1993 IXO SAO KAUCZUK was founded, it was a joint venture company with AO KAUCZUK - one of the biggest synthetic rubber producers in Russia. Its synthetic rubber export to the West turned into a real success. Every year 40 thousand tones of this product were delivered to renowned European tyre companies from IXO's warehouses. In 1994 IXOCHEM was established, a company selling chemicals for various branches of industry. In October 1996 IXOCHEM formed a joint-venture company with a contribution of an Austrian capital. IXOCHEM's foreign partner was Austrian biggest chemicals distributor - Neuber GmbH from Vienna. It was a turning point in the history of IXOCHEM, since it gained a strong partner with over a hundred-year tradition and a 80% share in the Austrian market. On the other side, a partnership with a new, dynamic and fast developing company guaranteed Neuber GmbH success on the promising Polish market. The newly-founded company IXO Neuber Sp. z o.o. joined an international family of chemical distribution companies associated with Neuber: Neuber Chemika in Slovakia, Neuber Brenntag in Czech Republic, Neuber Hungaria in Hungary as well as Neuber Ljubliana in Slovenia. In December 1999, Neuber company was purchased by Brenntag AG - a German concern. In December 2000 Brenntag AG purchased also HCI - a subsidiary of the international concern Holland Chemical International, one of the biggest chemicals distributor in the world. At the end of the year 2000, Brenntag AG became - directly or indirectly - the major shareholder of all above mentioned companies. In this situation, a decision of a merger was obvious. 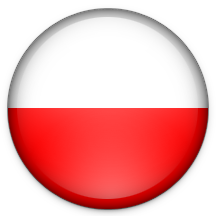 In 2002 IXO Neuber, HCI Poland and Alcafood Polska merged into one company: Brenntag Polska Sp. z o.o.